A pair of related suits have been filed against Wells Fargo Bank, N.A., charging the third-largest bank in the United States with improperly overcharging for mortgage loans. In one suit, a class action, Wells Fargo is alleged to have delayed loans to bilk customers into paying fees to keep their agreed-upon interest rate. 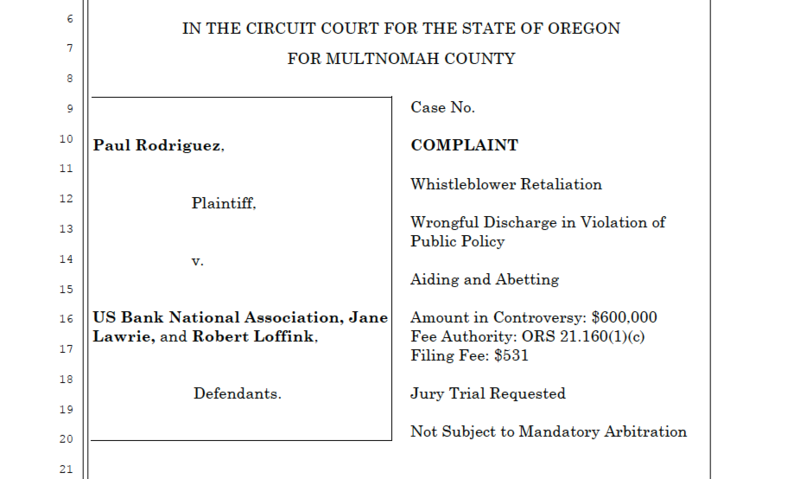 Muniz v. Wells Fargo & Co., No. 17-4995 (N.D. Cal.). 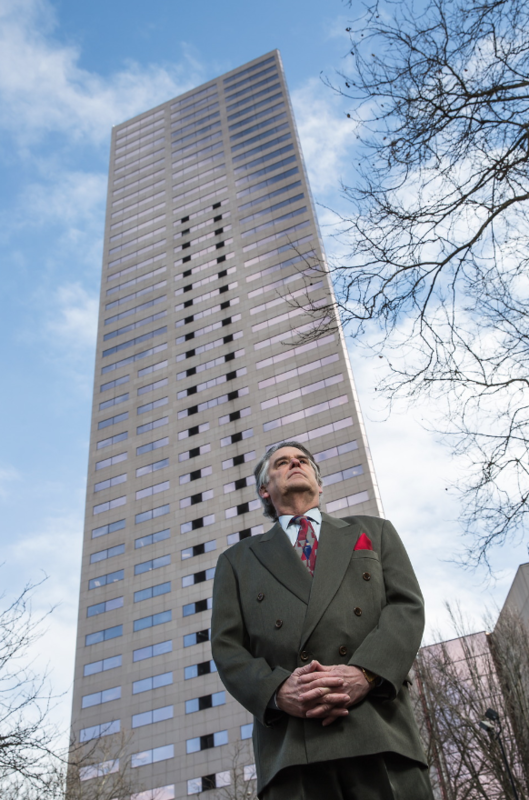 An investigation into the practices contributed to the bank “part[ing] ways with a handful of mortgage executives, including its former national sales manager and regional managers in California, Oregon and Nevada.” http://www.latimes.com/business/la-fi-wells-fargo-rate-lock-20170829-story.html. 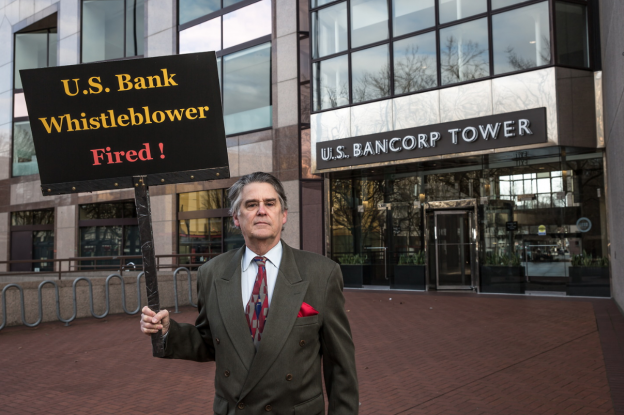 In the other suit, a Wells Fargo employee claims he was fired after blowing the whistle on allegedly improper rate-lock practices by the bank. That case is Alaniz v Wells Fargo Bank, N.A., No. 17-5066 (C.D. Cal.). This entry was posted in Uncategorized on September 21, 2017 by Jordan. Earlier this month, the CFPB’s Office for Older Americans and Office for Students and Young Consumers released its “Snapshot of Older Consumers and Student Loan Debt” which revealed a troubling statistic – the number of consumers age 60 and older with student loan debt has quadrupled over the last decade in the United States. 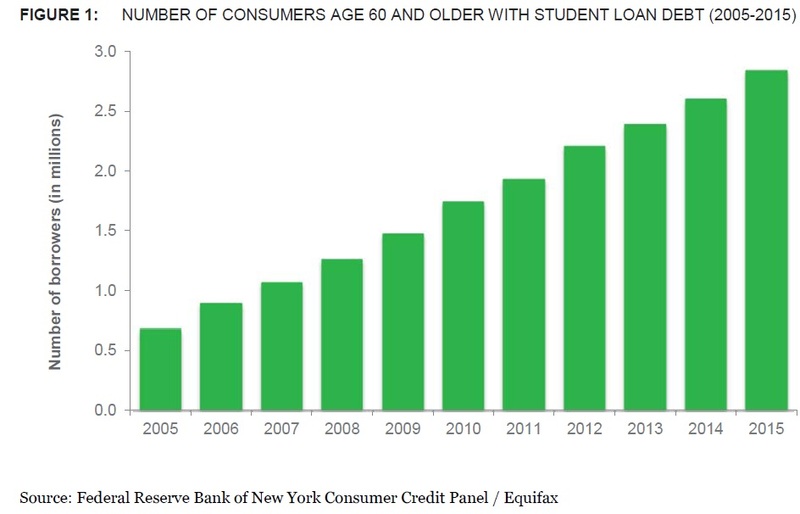 In 2015 alone, older consumers owed an estimated $66.7 billion in student loans and consumers age 60 and older are the fastest growing age-segment of the student loan market. The CFPB noted that this trend is not only the result of borrowers carrying their own student debt later into life but a growing number of parents and grandparents are financing their children’s and grandchildren’s college education, taking out the loans directly or co-signing on a loan with the student as the primary borrower. Older borrowers entering retirement with student loan debt face a number of challenges that may contribute to their inability to repay their student loans or meet their responsibility for their children’s loans. Unlike younger borrowers, who generally have more time in the workforce to increase their income and pay off the debts, older consumers typically experience a decrease in income as they age. In addition, some older consumers face other challenges, such as an increased incidence of physical and cognitive impairments associated with aging. These challenges may limit the ability to remain in the work force and may be associated with a decline in income. This entry was posted in Uncategorized on January 27, 2017 by dvenables.